At Motor City Irish Dance, we offer Irish dance classes in Rochester Hills, Michigan for all ages. 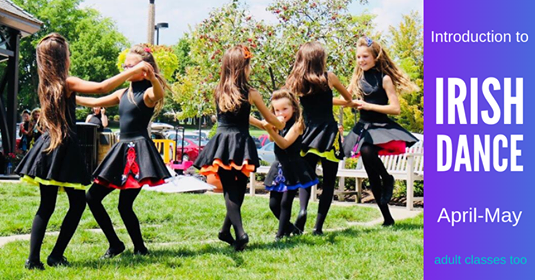 Our performance company of Irish Dancers performs throughout Michigan and can be booked for entertainment at weddings, festivals, charity fundraisers, corporate events, and television. That Irish dance is for the mutual enjoyment of the dancer and their audience. That Irish dance does not exclude anyone from learning or performing. That Irish dance must not fear innovation nor disrespect its rich cultural traditions. That Irish dance embodies the qualities of success: discipline, perseverance, passion, and drive. Everything we do flows from these timeless principles, which serve as the core of our organization. If these resonate with you, then you will find both fun and fellowship at Motor City Irish Dance – where passion thrives and rhythm drives.